Last year, twitter highlighted the most popular New Year’s resolutions for 2017—which included losing weight, reading more, and learning something new among the most common goals. 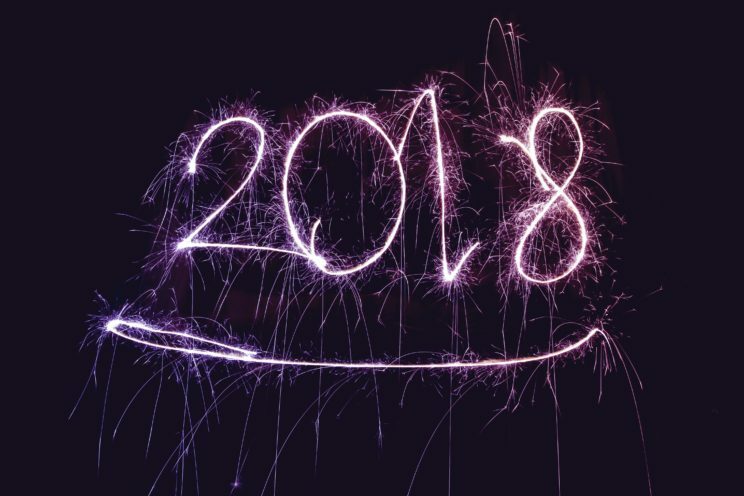 With 2018 quickly approaching, people all over the world are taking the time to reflect on themselves and determine possible resolutions for the coming year. We’ve put together a reading list of self-improvement books to help our readers reflect and stick to their goals in the New Year. 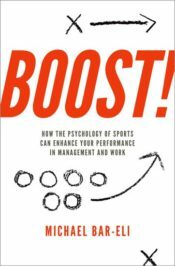 Sometimes hidden, often neglected, psychological forces drive human performance. Drawing on his career as a sports psychologist, Michael Bar-Eli reveals the skills practiced by elite athletes, and explains how these same tactics can be applied in the boardroom. Across industries, navigating career obstacles often proves to be difficult. An Intelligent Career serves as a playbook for the modern worker: offering clear guidance and support on taking charge of opportunities, seeking continuous learning, collaborating with others, and determining when it is time to move on. Workplace stress is common. But does it help or hinder us? Thriving Under Stress emphasizes the surprising ways that stress at work can be used to promote growth—including exercises to help improve the way we respond to stress. When it comes to meaning in life, we have let perfect become the enemy of the good; we have failed to find life perfectly meaningful, and therefore have failed to see any meaning in our lives. Finding Meaning in an Imperfect World addresses this flawed mindset. With a mix of practical advice and examples from film, literature, and history, this book aims to help people who feel that their lives are not meaningful enough. Compassion is not easy. Although caring for family members, neighbors, and friends is a central part of a rewarding life, it can also lead to emotional fatigue, or “secondary stress.” In Night Call, acclaimed psychologist Robert Wicks offers stories and principles gleaned over thirty years in the helping and healing industry. The book includes a “personal resiliency retreat,” a five-day guide to self-care and compassion. Happy holidays 2018! by NordWood Themes. CC0 public domain via Unsplash. From entrepreneurs to teachers, engineers to artists, almost everyone stands to benefit from becoming more creative. Innovating Minds reveals a unique approach to harnessing creative ideas and putting them into action. It offers a fascinating exploration of the science of creativity along with new and valuable resources for becoming more innovative thinkers and doers. Age-related memory loss is common. But how much can be expected? To help you navigate through age-related memory loss, follow the seven factors of memory: (1) Learn what is normal memory, (2) Determine if your memory is normal, (3) Understand your memory loss, (4) Treat your memory loss, (5) Modify your lifestyle, (6) Strengthen your memory, (7) Plan your future. The practice of mindfulness has become a key approach to addressing life’s challenges. But have we gone too far? Using examples from popular culture, literature, and social media, Mindlessness exposes the misuse of mindfulness, and considers how we as a society can salvage this valuable technique for improving mental and physical well-being. We like to think of ourselves, our friends, and our families as decent people. However, hundreds of recent studies in psychology tell a different story: that we all have serious character flaws that prevent us from being as good as we think we are—and we often do not even recognize that these flaws exist. The Character Gap draws on the latest research in psychology to show how most people are not good enough to be virtuous but not bad enough to be vicious, and offers practical strategies for trying to become better people. There’s far more bad management behavior taking place today than the well-intentioned doling it out realize. With MBA programs focusing on “success” skills, far too many graduates are entering the workforce without well-practiced managerial skills. Good People, Bad Managers addresses this issues by breaking down the bad habits of today’s managers, and offering practical advice for achieving change. Contrary to what most moral philosophers believe, there are situations in which doing the morally right thing is impossible. Drawing on real-world examples, When Doing the Right Thing Is Impossible explores how and why human beings have constructed moral requirements to be binding even when they are impossible to fulfill. Human beings are primates, and primates are political animals. Our brains are designed not just to hunt and gather, but also to help us get ahead socially, often via deception and self-deception. The Elephant in the Brain confronts our hidden motives directly: tracking down the darker, unexamined corners of our psyches and blasting them with floodlights. Mindfulness and one of the roads to it, meditation, have become increasingly popular as a way to promote health and well-being. Presence integrates meditation concepts and research evidence from cognitive psychology and neuroscience literature to help you better understand the science of mindfulness. Featured image credit: “blur-book-girl-hands” by Leah Kelley. CC0 via Pexels. I would recommend my first read of the new year, which I have in fact already started and might finish before the 1st anyway! But it’s Ilene Cohen’s When It’s Never About You. It gets into the people pleaser type which is me and how to get back to “you” being the priorty. We all need that at times. doctorilene.com for her site and her info on her book.